If you’re a fan of ancient ruins, incredible natural wonders, colourful culture and fine cuisine, you may well be seduced by Sicily’s charms. The largest island in the Mediterranean, Sicily lies just off the toe of Italy’s boot. For over 3,000 years the island has been a crossroads of Mediterranean culture and history, having been ruled by Africans, Asians and Europeans. This rich history can be seen today in its fascinating architectural diversity in the form of Greek temples, Norman churches and Baroque palazzi. Here are three of Sicily’s must-see attractions, all located on the east coast of the island. The ancient Greco-Roman town of Syracuse was the birthplace of mathematician and astronomer Archimedes. The town played a key role in ancient times, when it was one of the major powers of the Mediterranean world. At the height of its economic, political and military powers, the city had a population of 300,000 and, according to Cicero, was “the greatest Greek city and the most beautiful of them all”. The patron saint of the city is Saint Lucy; she was born in Syracuse and her feast day, Saint Lucy’s Day, is still celebrated on 13th December. 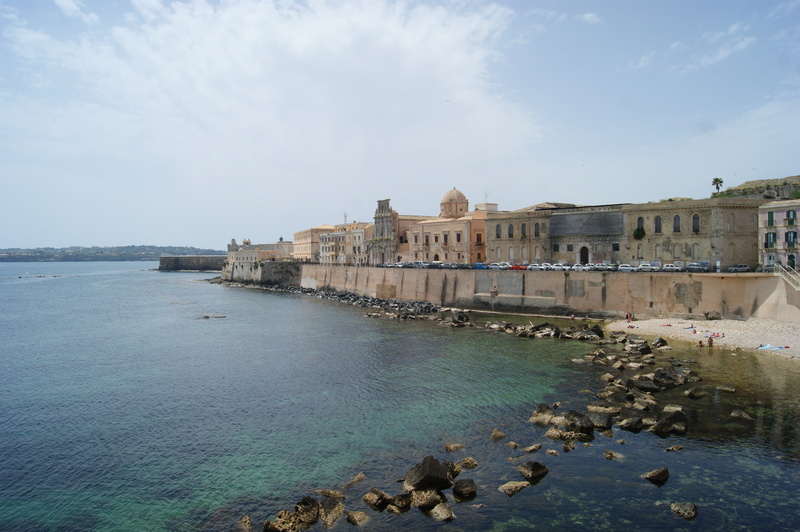 Today, Syracuse is a must for any visitor to Sicily and is a designated UNESCO World Heritage Site, along with the Necropolis of Pantalica which falls within the province of Syracuse. The town and its surrounding area boast numerous cultural and architectural sights. In the north-west of the town there are a staggering number of well-preserved Greek and Roman remains. The main attraction though is undoubtedly the Greek theatre that dates back to the 5th Century BC. The theatre is still used for an annual Greek theatre festival running from the middle of May to the end of June. 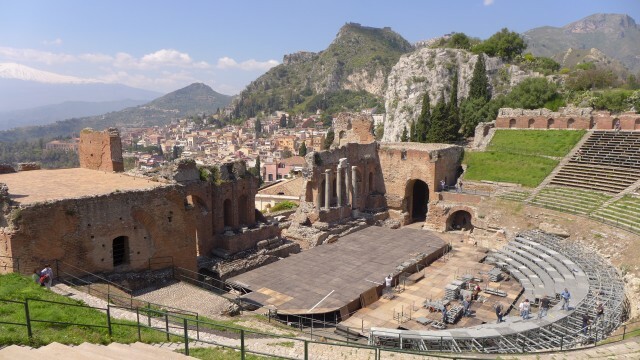 Further along the east coast, idyllically perched on a rocky outcrop high above the Mediterranean Sea is Taormina, whose past represents Sicily’s history in a microcosm. Greeks, Romans, Byzantines, Arabs, Normans, Swabians, the French and the Spanish all came, saw, conquered and left. Today, this beautiful small town is a popular tourist destination thanks to its beautifully restored mediaeval buildings, breathtaking coastal views and a dizzy network of winding streets awash with shops, bars and restaurants. Not to be missed is Teatro Greco, the Greek-Roman theatre which started its life in the 3rd Century BC hosting performances of works by Aeschylus, Sophocles, Euripides and Aristophanes. Originally quite small, it was enlarged by the Romans to accommodate their own particular brand of theatrical extravaganza. These days the theatre is home to all manner of events, including plays, fashion shows, concerts and cinema festivals. The significant appeal to visitors is, in part, down to the spectacular views, taking in Mount Etna and the Bay of Naxos. Aside from its incredible architecture, Sicily boasts some awesome natural wonders including Mount Etna which dominates the landscape on the east coast of the island. Situated in the Province of Catania, Mount Etna is the tallest active volcano in Europe at over 3,300m; it’s also the highest mountain in Italy south of the Alps. 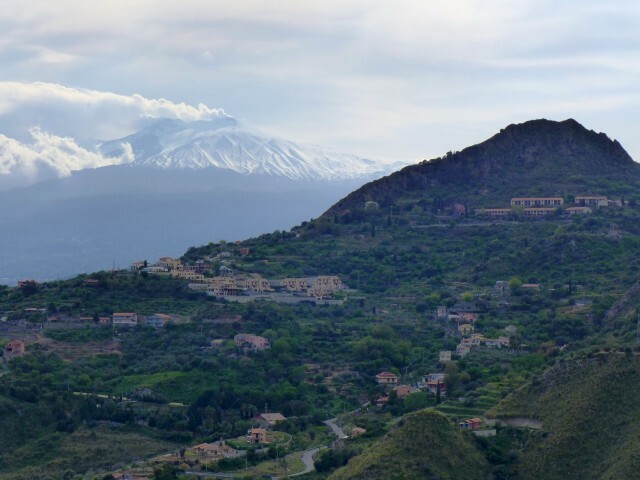 Declared an UNESCO World Heritage Site in 2013, Etna is surrounded by fertile volcanic soils which support extensive agriculture including vineyards and orchards which are spread across the lower slopes of the mountain and the broad Plain of Catania to the south. One of the most active volcanoes in the world, Mount Etna is in an almost constant state of activity with over 200 recorded eruptions to date, the most recent being in December 2015. Monitored closely by 120 seismic activity stations and satellites, the volcano is – quite understandably – closed to visitors on occasion.